Archbishop Bashar Warda of Erbil has unveiled plans to provide a future for Iraq’s displaced Christians – despite fresh reports showing the extent of the destruction of their homes in the Nineveh Plains. Archbishop Warda said the Churches aim to rebuild “so that the IDPs are able to return to the villages of their forefathers with hope and security”. The Chaldean archbishop stressed that reconstruction could not begin until Mosul is liberated and villages are cleared of bombs and booby traps. Archbishop Warda described the extent of the devastation. 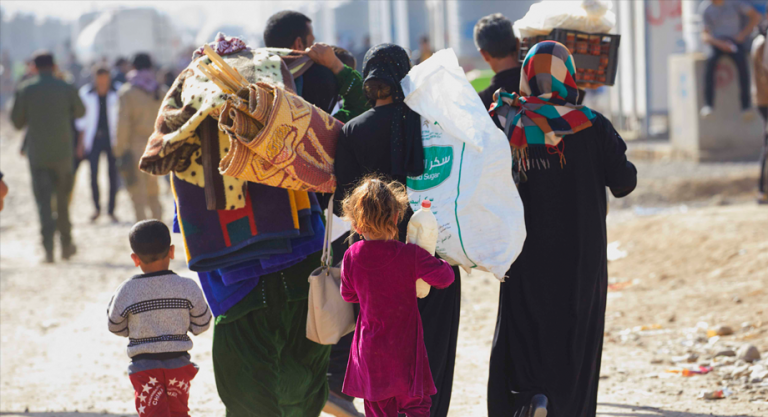 Aid to the Church in Need’s Middle East project head Fr Andrzej Halemba, who carried out a survey of the villages in the Nineveh Plains at the end of 2016, revealed that growing numbers of displaced Christians are wanting to return. The priest added that the charity would help with the rebuilding of the Christian villages that were destroyed by Daesh (ISIS). Archbishop Warda underlined the need to continue to support Christian families who fled to Ankawa and other parts of the Kurdish capital Erbil. ACN continues to assist the programme run by the bishops’ emergency committee, by supporting 13,200 IDP families at a monthly cost of more than a quarter of a million pounds. The charity has supported urgent housing, food and pastoral care projects with more than £13.7 million since 2014.